Email Marketing is leading channel that companies to use to reach potential customers. Unlike the horde of marketers who fail, very few gain desired results. It is all about doing it right. Stepping up the perfect execution means keeping up with the demand and strategically placing planned opportunities within an email to help start a sales relationship. Gone are the days where a marketer tries hard to woo subscribers by offering free content and then end up with nothing when a subscriber turns away seeing a link to the sales page. If you are unwilling to exploit the full features of latest email marketing strategy, you are missing every quality opportunity. It isn’t instrumental to leverage upon one strategy. Hence, it is practical to simultaneously make use of a set of email strategies to extract maximum results. How is Email Marketing Effective to Business? When you earn audience who become part of your email list, reach out to them. For example, if your subscriber likes your Facebook page, the chances are less that would ardently follow updates from your page. However, the same cannot be said in the case of emails. More users check their emails with increased propensity. Therefore, your best chance to effectively communicate with subscribers is through email. Email Marketing is adaptive to any trade. A good strategy can multiply sales bringing you one step closer to your goals. Only handful limitations exist to accommodate ethical usage of email for marketing. It is unrestricted and mostly a marketer’s favorite tool because it allows you to send unlimited emails at no cost at all. Marketers splurge large sum on advertising gimmick even when they are fully aware, it cannot yield a profitable return. It is real, advertising, and email marketing cannot be compared in parallel; but Email marketing is an affordable solution to reach users without significant investment. Execution of email marketing strategies does not warrant a steep learning curve. Experimenting with other strategies will allow achieving fantastic results. At the very least, you may have a chance to understand the results without time being wasted. 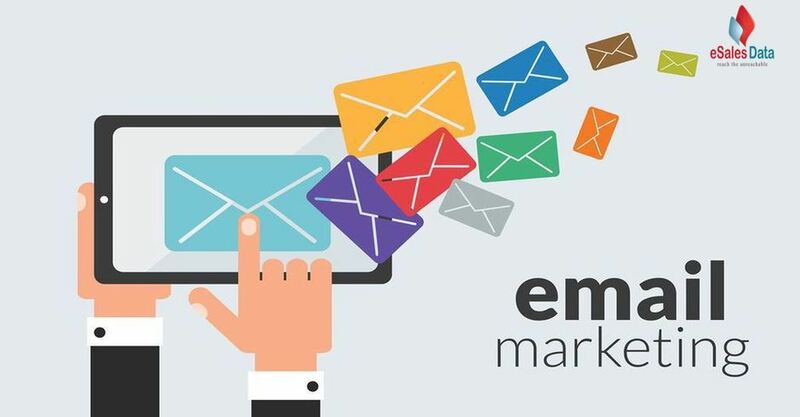 Marketing outside the email campaigns can put your efforts under scrutinization by various authorities that ensure quality content stands apart. It means that even if your services are superior or likely to offer a greater satisfaction to consumers, it may be awfully received by masses through paid media when content used to promote is poor. B2C brands often leverage upon offers to reel in consumers, and every email is embedded with attractive offers that buyers can’t resist. Offers can quickly increase the customer base by providing items of value to customers so that they may express brand loyalty to the marketers. The purpose of such a motive is to nudge a customer urging them to claim the offer on products that they have expressed interest. Likewise, it could also be an unfocused effort aimed at a collective group of audience. When marketers promote products and offers, it is important not to seem keen and pushy to close sales. The moment a customer feels a sales vibe, he or she is likely to turn away the marketer no matter what the intentions are. Present your objective as a long-term solution. It is important to be friendly and purposeful for gaining your recipient’s trust. Great reasons can dilate the user traffic. It means a stronger value proposition can be irresistible when consumers see the benefits.Most recipients expect a friendly intention on the other end and the slightest hint of insincere coercion can hamper the smoothness of the interaction. B2C brands grapple to keep users interested because it is hard to present a compelling reason without appearing sales-y. If you fail to make people purchase your services or products, it will not bring profits or values to your efforts. So, a great reason to motivate subscribers to become customers. To draw the customers into the open, it is necessary to make generous offers. Offers are key elements of email marketing strategy as they can empower a simple campaign email making them a powerful conversion tool. Content is a next most powerful email-marketing asset. It merely strengthens the conviction why a subscriber must buy a particular product. B2C and B2B business heavily rely upon high-quality content that is made to order for a client, so it represents each problem in a unique manner. An effective solution conveyed through a series of readable messages can instantly incite a relationship between a consumer and marketer. Content is intended to evoke a positive response from recipients by speaking of how each solution from the sender will generate wealth and value for the recipients. Content can promote critical offers, and its role is often purposive as a trust maker. Content can be classified under two variants. Marketers can serve free content such as blogs and articles or, they can help users obtain the content without payment, but in exchange for email addresses. The latter boosts the organic growth of marketer’s business list. It strengthens the customer base allowing a wider reach while sending future campaigns. It is impractical to prompt users to subscribe by entering the email address when they have already subscribed. So, instead of repeating the content, you can ask users to share the content on social media as it doubles the brand value as content reaches a larger audience through social media. Alternatively, you can also ask for additional information that may be purposeful for improving the service facets offered to customers. Businesses must use content marketing extensively irrespective of the type of products and services being dealt with. When you off er informative content that serves the purpose by educating readers, it may entice them to trust you. Email marketing strategy is a relationship starter, and it helps marketers reach buyers with a message that will drive the future interactions. It is easy to believe that handful contents and offers alone can help a fully-fledged relationship. But, they are only one part of a bigger equation. For example, you can request subscribers to respond to surveys and emails by sharing an opinion. But, as you tell the subscribers what you think serves the cause, you must be willing to stave off a fair share of opposing views. Hence, it is riskier if you insist speaking about instances that do not incline with your business. It can attract unsolicited debate that may mislead or derail the purpose. But, if your audience seems interested in the discussion because they have a similar opinion, then it is likely that they will trust you. Email marketing is an effort to build relationships regardless of the emails you send to your subscribers. If you discount the relationship from campaign objective, it is unlikely for the audience to acknowledge your content, offers, and promotions. Do you feel the need for speedier email list building? Read ahead to know how. Building Email List Rapidly Speaking of email marketing, readers are more curious how soon they can start building the list. Creating fabulous emails alone isn’t useful when you are unable to find readers. Here are the four typical list-building practices to help you reach the right audience. Placing ads through paid media can be pricey. But, if it works, then results can be phenomenal. If you have a vast group of peers, networking can help your campaign reach users across channels. It is the hardest tactic to get subscribers onboard. You must regularly interact with a vast audience where you may have a fair chance to acquire new members who may sign up. If you don’t have the investment to splurge on massive ad campaigns, you can take the easiest and cost efficient means of growing your email list. However, the downside to guest blogging is that you can miss best customers if the writer isn’t well acquainted with the subject. These are some of the best email strategies that can bring quality results irrespective of your business types. For substantial results, it is ideal to assess the resource you have before implementation. Share with us if you have more ideas related to inspiring email marketing plan.